As we know, the data that BIM encompasses is massive. It is an overwhelming and comprehensive assortment of finite details---that when backed by a process, are invaluable to the success of a project. And while this information is undeniably important across all phases of construction, at times, visually interpreting that information can be a bit cumbersome. Especially if you are in the field, purposely focused on a single aspect---a single scope of detail that needs your immediate attention. Up until now, if you were in the field on your iPad navigating in a BIM 360 Glue model--trying to quickly and efficiently tap and swipe your way to a specific component or location, you had to spend a bit of time getting there. And yes, you could certainly create a specific view for that location enabling one-tap access, but as we all know, construction isn’t always linear. You set out to do one thing, and then get pulled to look at something completely different. Today, we are excited to announce the new 2D map feature in the BIM 360 Glue iPad app which provides quick and intuitive location navigation. Now instead of taking the time to tap and swipe your way through the model to find the component or location you are looking for, simply click the new icon in the BIM 360 Glue tray (see above) to enable the 2D (plan view) mode based on your current location in the model. From there you can select the specific floor you were looking for to quickly jump to that level (see screenshot above). Once you have found the specific floor location or elevation, you simply tap into the 2D plan in the spot where you would like to be taken to in the 3D model. Now you can quickly jump floor to floor, location to location outside of the 3D model---and then interact with the 3D model when you have to (or when you need to). The good news is that we have made the process of tying the 2D view to the 3D model extremely easy. The key? Autodesk Revit. Your VDC/BIM team in the office can simply create a Revit project model with levels and grids, and this model can be easily merged with other project models in BIM 360 Glue to create an easy to navigate, multi-disciplinary model. You will need a Revit model with Grids and Levels and need to upload via NWC which was introduced in a BIM 360 Glue update last month. The new feature is currently available for download within the BIM 360 Glue app on the Apple App Store. Click here to download today. It's fair to say I get overly excited about small improvements in our products, and this is one I've been waiting for a few months for. When pushing a model from Revit to Glue historically we have created a lightweight DWF file to push up to BIM 360 Glue, this minimises the bandwidth used rather than uploading the entire Revit model, and allows you to run the faster iterative design review more quickly. In the latest release of the Revit exporter in BIM 360 Glue we now give you the option to push to DWF or the Navisworks NWC file format. Viewing of materials has improved, any materials that come from the standard materials library will be available to view on any machine which already has the library installed, e.g. current versions of Revit, AutoCAD or Navisworks. Note: This isn't currently available through the iPad. Improved colour support, this is important for your MEP especially to help easily define between HVAC and sprinklers for example. Improved object names and model tree hierarchy, This will allow you to identify similar elements or look at items by Level or floor as you have had in Navisworks for years. Also the naming convention in DWF typically picks up the Element ID of the object, NWC just has this information as a property, reducing the chance of confusion and making it easier to create Sets for BIM 360 Field and when you open the live file in Navisworks. Improved Property support, the NWC file will bring through properties in the same way as Navisworks allowing you to access a wider range of properties. You'll also see that you can access different groups of properties within the model using the dropdown. So you can quickly find information about Phasing, or materials of that item. This also improves the way you can map properties for BIM 360 Field. With improved naming of items and the fuller range of properties available you can right click and Create an Equipment Set from any item or Property, which can then be used in BIM 360 Field to collect information against that item. Of course you can still use DWF for existing projects or for specific requirements but we think you'll like the improvements available by using NWC with BIM 360 Glue. When we launched the new BIM 360 Layout app and feature within BIM 360 Glue, we also updated Autodesk Point Layout to accommodate the capability of easily pushing and pulling models with layout points to and from the BIM 360 Glue web environment. These updates put the finishing touches on a digital, model-driven ecosystem that connects the point creation process in the office directly to the construction layout process on the jobsite. (See the workflow diagram here: http://beyonddesign.typepad.com/.a/6a014e87fbd82d970d01bb078ec3fb970d-pi) And with the connections between client, cloud and mobile in place, we now could start on the next horizon...content. So less than a month after introducing BIM 360 Layout to the market, we are now dedicating time to working with component vendors to extend the ecosystem by adding their content to the workflow. The ultimate goal is simple: Create a plug and play library of modeled components with Autodesk Point Layout points that can be easily dropped into a model and then pushed through the ecosystem. Imagine working in Revit, detailing your mechanical runs of duct or pipe, and being able to drop a deck insert as a Revit family into your model. Then, once the insert is placed throughout your model, you can upload into the BIM 360 Glue web environment---knowing that the Autodesk Point Layout points (needed for field layout) are already in the Revit family. From there, your field engineer opens the BIM 360 Layout app on his/her iPadTM---downloads the model with points and begins laying-out and staking those insert locations for installation. That’s an ecosystem! We are happy to provide access to our first components modeled as a Revit family---with Autodesk Point Layout points available for this workflow: Powers Fasteners Wood-KnockerTM and Bang-ItTM Concrete Inserts. For those that don’t know the folks at Powers Fasteners, they are a global company specializing in the manufacturing and technical marketing of quality anchoring and fastening products for concrete, masonry, steel and wood. To download the Revit model files, bookmark the resource page here or click on each of the links below based on your insert type. NOTE: The download link contains zipped model files for each of the different diameter sizes per insert. Just announced on stage at the Dallas BIMforum, Autodesk BIM 360 Glue receives a major new feature bump and stand-alone iOS app. Yes, today we are happy to announce the launch of the BIM 360 Layout app and the companion layout functionality within BIM 360 Glue! The new BIM 360 Layout app for iOS takes advantage of a recent partnership with the folks at Topcon and their LN-100 Robotic Instrument for laser-based positioning on the job site. By connecting to the iPad, the LN-100 offers a purpose-built hardware solution perfectly tailored to the demands of General Contractors and MEP contractors alike. The BIM 360 Layout app with connection to the BIM 360 Glue web service challenges modern layout practices being utilized by contractors today. As most layout processes have connections to 3D models on larger construction projects, rigor can now be placed on managing and leveraging the up-to-date, coordinated information by the entire project team for construction layout. 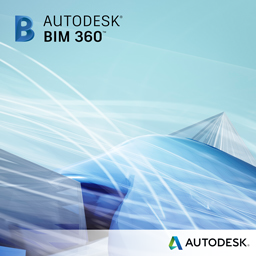 BIM 360 Layout removes common data exchange barriers and provides a seamless connection between the real-time coordinated model and the process of laying-out and staking points in the field. Here’s how the process works. First, the design model (AutoCAD, Revit or Navisworks) with field points created in the Autodesk Point Layout plugin are imported into the BIM 360 Glue web service. Then, point sets can be shared to project field crew(s) via an email link---that when opened on an iPad, launches the BIM 360 Layout app with the assigned point sets ready to be laid-out. Once the field points have been staked, verified or new points collected (all of which can be done while working offline), the field crew can sync the information back to the BIM 360 Glue web service once connected to the internet. The collected points can then be imported from BIM 360 Glue to Autodesk Revit via the Autodesk Point Layout plugin. Within Revit, a deviation analysis can be performed to assess if completed work by an MEP contractor is within the appropriate tolerance and not in conflict with components in the building model. And speaking of workflows! Along with the introduction of BIM 360 Layout, our recent packaging change of providing Navisworks and Autodesk Point Layout client access to any Project-based or Enterprise BIM 360 purchasing company has made it even easier for contractors to create points in the design model and then provide to field crews for layout. But let’s not just talk about the workflow benefits; the BIM 360 Layout app has an entirely new way of connecting digital point location information with the physical world. The app running on an iPad provides a first person—immersive view of the building model as the user walks the jobsite. The prism and total station are represented in the 3D model as they are located in the physical world—giving the user an understanding of where they are in relation to the instrument, and the points to be staked. If you would like to hear more about the new BIM 360 Layout app and layout functionality with BIM 360 Glue, join us for a webinar hosted by the AGC on October 23 at 2:00-3:30PM EST by clicking the registration link here. In the meantime, feel free to head on over to the BIM 360 Community Portal and sign-up to receive a free “Work Where It Happens” t-shirt---compliments of the BIM 360 team!